Happy Eid Mubarak! May our Eid and our lives be blessed! Hows your holiday so far?? Looking good, eh? Ugh, i totally wish the holiday will be longer, hahaha. Anyway, because my Eid wasn't too hectic this year (especially because i'm still kinda sick), i manage to write some blogpost! 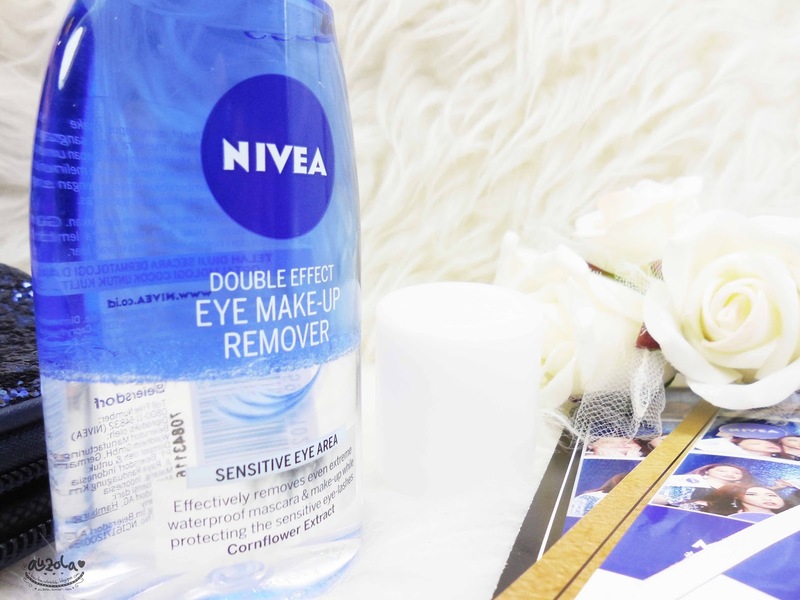 Today i would like to share my review about the newest Nivea eye makeup remover. Curious much? Let's check on below! 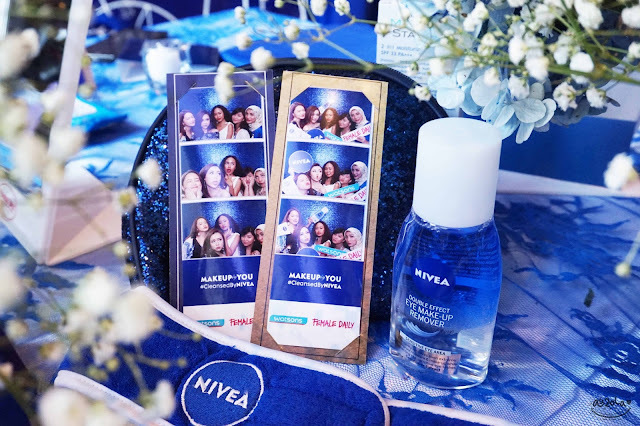 Anyway, before we start with the review, if you would like to read my story a.k.a event report of Nivea, Watson and Female Daily gathering around 2 weeks ago, you can check on the Bahasa Indonesia version, kay. I'm to lazy to tell that in english as well, lol. So here goes the review! First let's check the packaging! 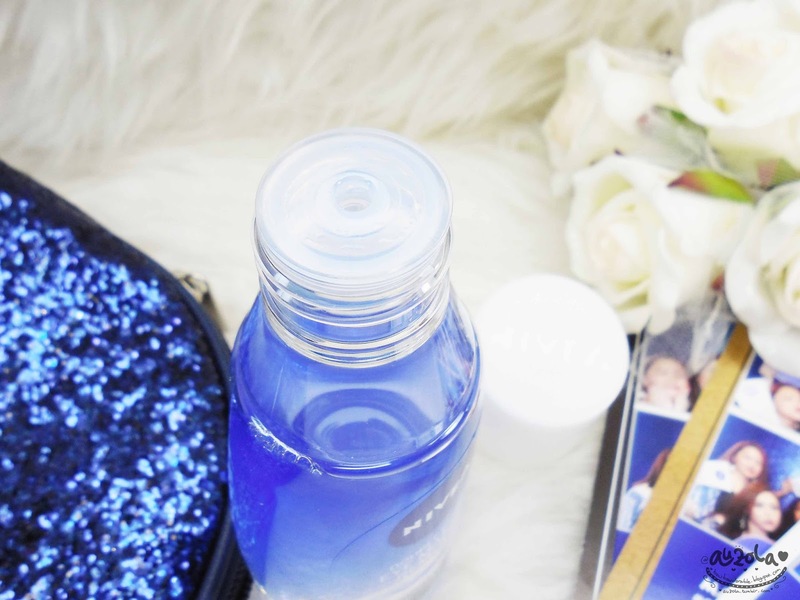 The packaging is a simple with light transparent plastic bottle and white cap. Even though it's simple, it still looks nice. Maybe because the blue is deep, so it looks nicer. Well i saw this earlier on drugstore before i got the chance to try it and my boyfriend thoughts it's a nice looking remover, why? Because he simply loves how water and dark blue oil collide in there hahaha. For the cap, i actually kinda wish it's a flip cap. But this one is fine as well. "Effective to removes makeup, even waterproof mascara. Giving skin in the eyes area moisture and protect eyelashes as well. 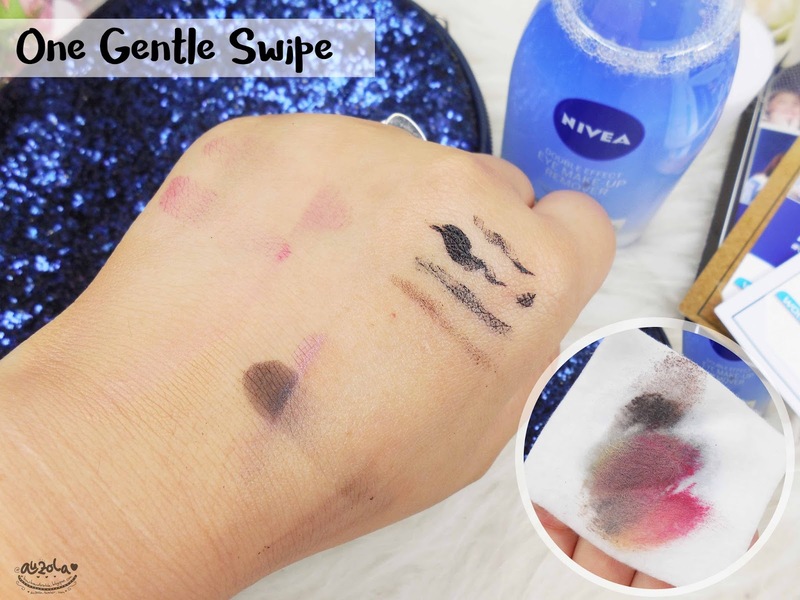 Cleans makeup gently, no need to wipe it too hard. Dermatology and optalmology tested." Shake before use. Use cotton to apply the remover. Wipe gently around the eyes from inside to outside part of the eyes. 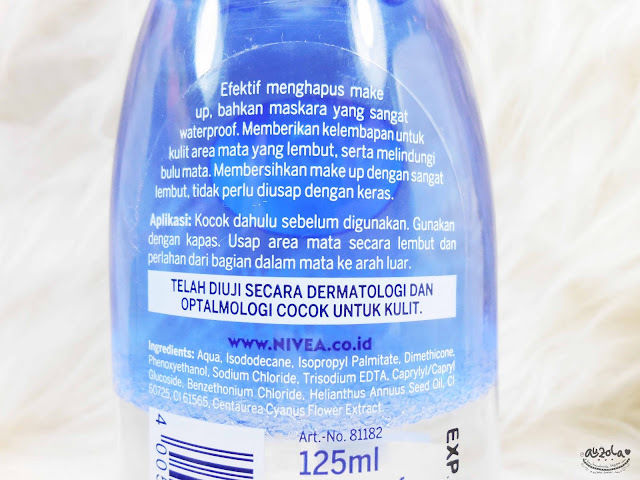 Texture itself more watery than oily somehow, since it's so easy to absorb on your skin without leaving a sticky/oil residue afterward. 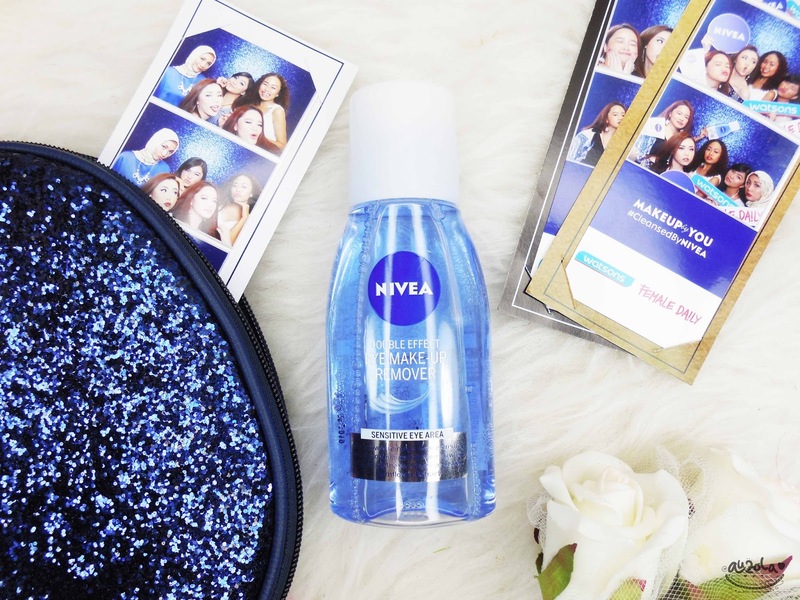 I totally love it since no oily feeling after using this, so if in a hurry to re-apply eye makeup, you don't actually need to wash it with water again. It leaves the skin clean, smooth and moist. 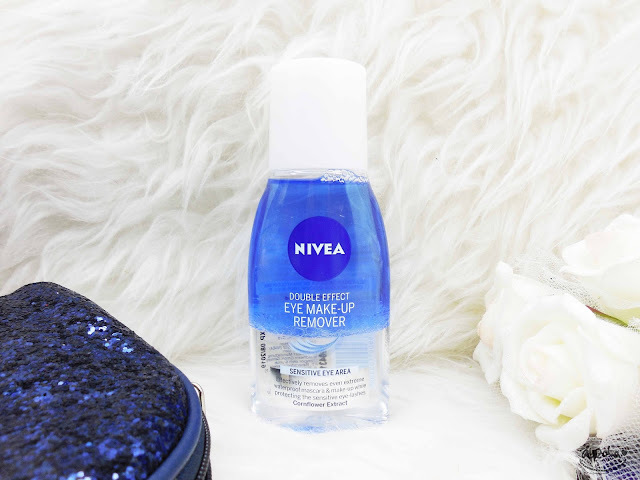 It's true though, it cleanse eye makeup easily without needing harsh rub. I'm amazed. 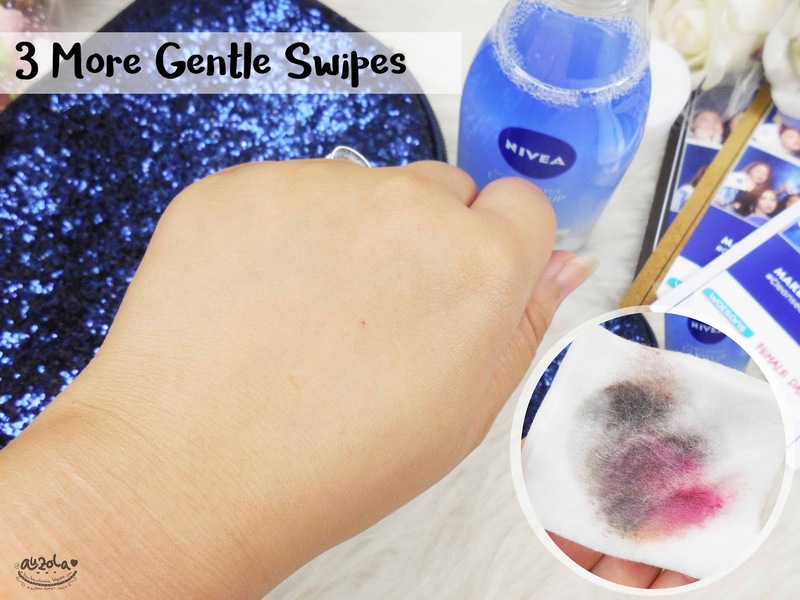 You can gently swipe it and tadaa, most makeup removed. It totally became one of my favorite makeup remover right away! As you can see in the picture, it cleans makeup quite well, even it's not eye makeup. Plus, it can quite easily cleans waterproof eye makeup as well! When i first try this remover, i was using a waterproof mascara which sometimes pretty hard to remove. 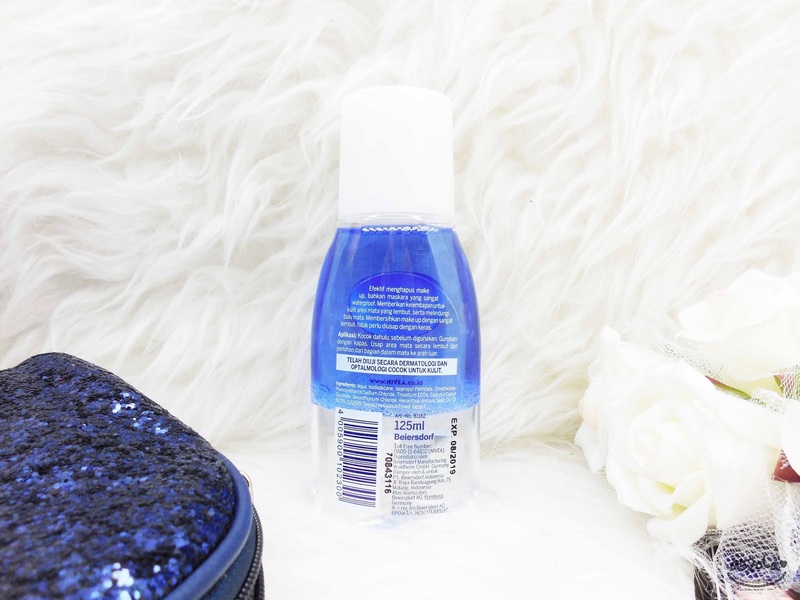 But with this remover, somehow it seemed easy and quick. 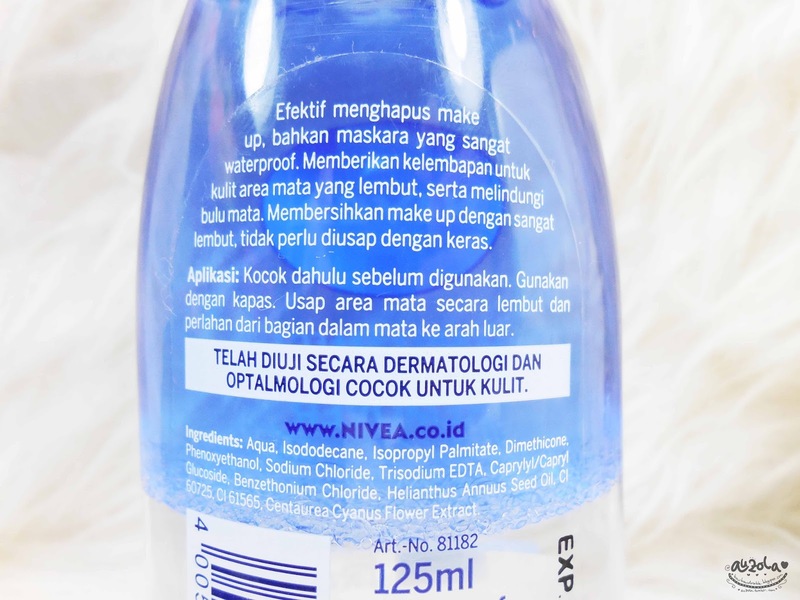 It also very gentle on the skin and doesn't irritate the eyes when it accidentally got in my eyes. Love it, totes! I love ittttt!! Since the first time i tried this baby, i fell in love right away. 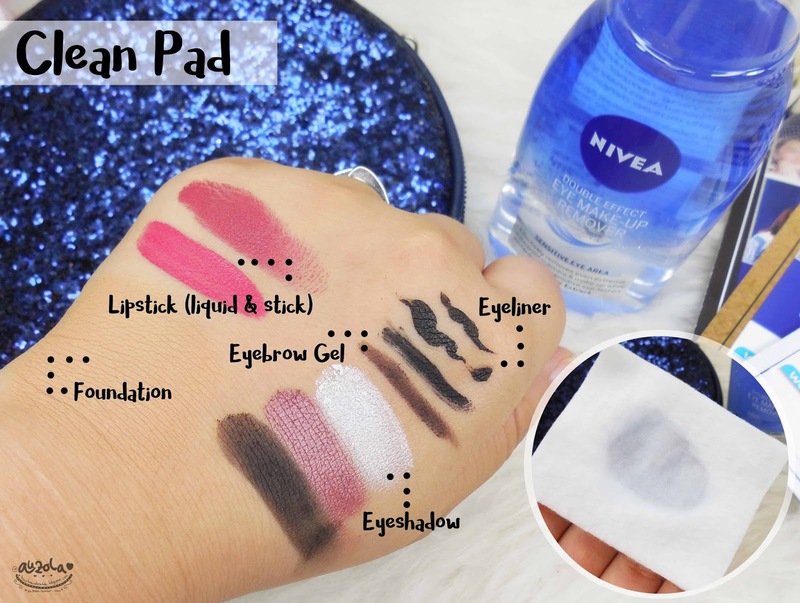 I love the texture which is not too oily but can clean makeup perfectly well. Plus i love how it moisten my skin and easily absorb without leaving a oily residue. Totally love it! That's all my review and mini event report for now. I hope you like the review. Once again, happy holiday guys! Have fun and rest well, see you on my next post!